I recently pointed you towards a book that has turned out to be a compelling and interesting read. At the end of the day, it’s a straightforward application of public choice theory and evolutionary thinking to questions of power. Easy to understand theory is bundled with data and anecdotes* to elucidate the incentives facing dictators, democrats, executives, and public administrators. The differences between them are not discrete: they all face the same basic problem of compelling others’ behavior while facing some threat of replacement. Nobody rules alone, so staying in power means keeping the right people happy and/or afraid. All leaders are constrained by their underlings. These underlings are necessary to get anything done, but they’re also potential rivals. For Bueno de Mesquita and Smith the crucial facts of a political order are a) how big a coalition (how many underlings) the ruler is beholden too and b) how replaceable the members of that coalition are. The difference between liberal and illiberal orders boil down to differences in those two parameters. In democracies with a larger coalition and less replaceable coalition members, rulers behave better. I got a Calculus of Consent flavor from Dictator’s Handbook. At the end of the day, collective decision making will reflect some version of “the will of the people… who matter.” But when we ask about the number of people who matter, we run into C of C thinking. Calling for bigger coalitions is another way of calling for an approach to an effective unanimity rule (at least at the constitutional stage). In C of C the question of the optimal voting rule (majority vs. super majority vs. unanimity) boils down to a tradeoff between the costs of organizing and the costs of externalities imposed by the ruling coalition. On the graph below (from C of C) we’re comparing organization costs (J) against externality costs (I) (the net costs of the winning coalition’s inefficient policies). The idea is that a unanimity rule would prevent tyranny of the majority (i.e. I is downward sloping), but that doesn’t mean unanimity is the optimal voting rule. But instead of asking “what’s efficient” let’s think think about what we can afford out of society’s production, then ask who makes what decisions. In a loose sense, we can think of a horizontal line on the graph above representing our level of wealth. If we** aren’t wealthy enough to organize, then the elites rule and maximize rent extraction. We can’t get far up J, so whichever coalition is able to rule imposes external costs at a high level on I. But I‘s height is a function of rent extraction. Rulers face the classic conundrum of whether to take a smaller piece of a larger pie. The book confirms what we already know: when one group can make decisions about what other groups can or must do, expect a negative sum game. But by throwing in evolutionary thinking it shed light on why we see neither an inexorable march of progress nor universal tyranny and misery. As you travel back in time, people (on average) tend to look more ignorant, cruel, and superstitious. The “default state” of humanity is poverty and ignorance. The key to understanding economics is realizing that we’ve bootstrapped ourselves out of that position and we aren’t done yet. 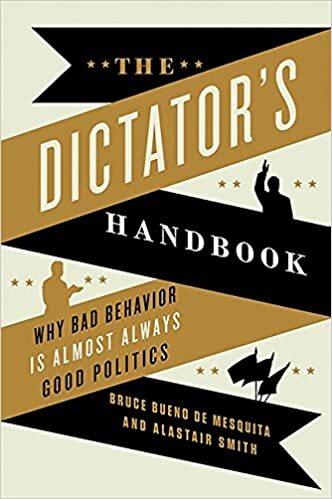 The Dictator’s Handbook helped me realize that I’d been forgetting that the “default state” of political power is rule by force. The liberalization we’ve seen over the last 500 years has been just the first part of a bootstrapping process. Understanding the starting point makes it clear that more inclusive systems use ideas, institutions, capital, and technology to abstract upward to more complex levels. Something like martial honor scales up the exercise of power from the tribe (who can The Chief beat up) to the fiefdom (now the Chief has sub-chiefs). Ideology and identity can tie fiefdoms into nation-states (now we’ve got a king and nobility). Wealth plus new ideologies create more inclusive and democratic political orders (now we’ve got a president and political parties). But each stage is built on the foundation set before. We stand on the shoulders of giants, but those giants were propped up by the non-giants around them. Our world was built by backwards savages. The good news is that we can use the flimsier parts of the social structure we inherited as scaffolding for something better (while maintaining the really good stuff). What exactly this means is the tricky question. Which rules, traditions, organizations, and processes are worth keeping? How do we maintain those? How/when do we replace the rest? And what does “we” even mean? Changing the world involves uncertainty. There are complex interrelations between every part of reality. And the knowledge society needs is scattered through many different minds. To make society better, we need buy-in from our neighbors (nobody rules alone). And we need to realize that the force we exert will be countered by an equal and opposite force some plural, imperfectly identifiable, maybe-but-probably-not equal, and only-mostly-opposite forces. There are complex and constantly shifting balances between different coalitions vying for power and the non-coalitions that might suddenly spring into action if conditions are right. Understanding the forces at play helps us see the constraints to political change. And there’s good news: it is possible to create a ruling coalition that is more inclusive. The conditions have to be right. But at least some of those conditions are malleable. If we can sell people on the right ideas, we can push the world in the right direction. But we have to work at it, because there are plenty of people pitching ideas that will concentrate power and create illiberal outcomes. *I read the audiobook, so I’m basically unable to vouch for the data analysis. Everything they said matched the arguments they were making, but without seeing it laid out on the page I couldn’t tell you whether what they left out was reasonable. During most of the 19th century Brazil and the United States showed little mutual interest. Brazilian foreign policy was initially directed to Europe (mainly England) and then to border problems in South America (particularly with Argentina and Paraguay). Meanwhile, the US was concerned about its expansion to the west and its internal tensions between north and south. With little convergence in these priorities, the two countries basically ignored each other. However, this picture began to change at the end of the century, especially because Brazilian coffee found in the USA an excellent consumer market. The definitive change occurred in the first decade of the 20th century, when Barão do Rio Branco, Brazil’s foreign minister for 10 years (1902-1912) decided that the country should privilege relations with the US in its foreign policy. The Baron understood that after Africa and Asia, South America (especially the unprotected Amazon) would be the target of European imperialism. Without an army and a navy that could deal with Europeans, Brazil needed US protection. Fortuitously, this was also the period in which Theodore Roosevelt gave his corollary to the Monroe Doctrine. Roosevelt had already made clear his intention to keep Europeans away from the American continent, particularly in his intervention to build the Panama Canal. An unwritten alliance was formed between the two countries: the convergence of interests caused Brazil and the United States to experience an unprecedented approach in history. To consolidate the new paradigm of foreign policy the Baron elevated the Brazilian diplomatic representation in Washington to the level of embassy. In the diplomatic gesture of the time this was a clear indication of the preference that the country gave to the USA. The Baron chose Joaquim Nabuco to be Brazil’s first ambassador to Washington. Nabuco is a well-known personage to the scholars of Brazilian history. When he became ambassador to Washington he was already famous for his struggle against slavery in Brazil and for his work as a historian. Like the Baron, Nabuco believed that Brazil would be the target of European imperialism, and that it needed US help to protect itself. Unlike the Baron, however, Nabuco saw an opportunity at the time to do something more: to turn America into a zone of peace, a continent with international relations essentially different from those of Europe. The Baron saw international relations only as a zero-sum game. He also did diplomacy thinking in terms of a balance of power. Nabuco was not unaware of these aspects, but he believed that through regular international conferences and open trade, America could avoid the wars that were so characteristic of Europe. But for that the US leadership was essential, and should be supported by all. The Baron sought the US punctually: he wanted the protection of a stronger country while Brazil was not able to protect itself. Nabuco wanted a permanent alliance. In his foreign policy the Baron was a kind of conservative: changes do not occur easily. The story simply repeats itself. The 20th century would simply repeat the 19th. Nabuco believed that change is possible. He believed in universal principles linked to classical liberalism. Nabuco passed away in 1910, only five years after assuming the position of ambassador. Perhaps if he had been more successful in his foreign policy we would have had a very different twentieth century. The United States would not have become involved in Europe, as it did in World War I. America would be a continent of peace, contrasting with the Old World. America would lead by example, not intervention. And many problems we face today, the fruits of American interventionism, would be avoided. More than a year ago I promised Jacques a post on sovereignty and while I am not always able to follow up very quickly, I tend to do what I promise. So here it is! 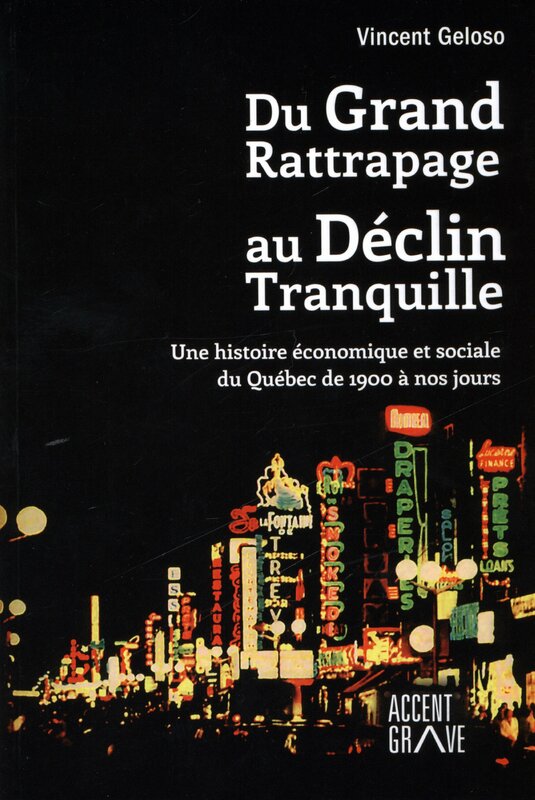 Jacques’ main cri de coeur was why (classical) liberals should care about sovereignty at all. When it comes to the theoretical discussion about sovereignty (the literature is huge), I think there is no better start than the work of international relations theorist Robert Jackson. 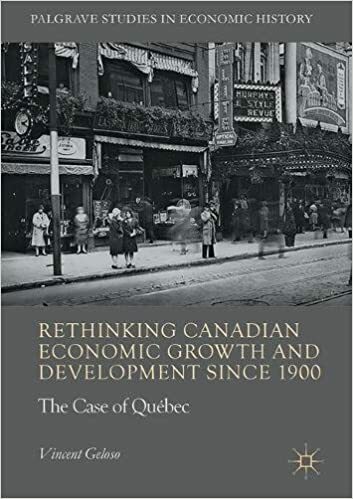 Or better and broader: any thinking about international relations benefits from this Canadian, former Boston University professor, especially his magnum opus The Global Covenant: Human Conduct in a World of States (Oxford University Press, 2000). But this is a side step. sovereignty is an idea of authority embodied in those bordered territorial organizations we refer to as states, and is expressed in their various relations and activities, both domestic and foreign. It originates from the controversies and wars, religious and political of sixteenth and seventeenth century Europe. It has become the fundamental idea of authority of the modern era, arguably the most fundamental. Also in regions where other kinds of arrangements existed before Western imperialism. It is at the same time both an idea of supreme authority in the state, and an idea of political and legal independence of geographically separate states. Hence, sovereignty is a constitutional idea of the rights and duties of the governments and citizens or subjects of particular states. It is also an international idea of multiple states in relation to each other, each one occupying its own territories and having foreign relations and dealing with others, including peaceful and cooperative relations as well as discordant relations and periodical wars. Of course a lot of popular and academic discussion follows from this, for example about the particular form of sovereignty (popular, or not), the relation between power and sovereignty, sovereignty and globalization, or if and when sovereignty may be breached to protect others through intervention. Yet here I solely focus on the relation between sovereignty and liberal political theory. Concerning the domestic supremacy side of sovereignty a lot has been written by liberals. Most liberals (classical, social, and even libertarian minarchists, such as Ayn Rand or Robert Nozick; see my Degrees of Freedom for the precise definitions) realize some form of state is needed to protect individual rights. A state embodied with sovereignty. At the same time most liberals (social liberals less so, because they favor a relatively large state) recognize the state is also the largest danger to individual freedom. How to balance the two is the perpetual question of liberal political thought, one also without a definitive answer or solution, so far. Less attention has been given to the international side of sovereignty. There are a number of libertarians, such as the anarcho-capitalist Murray Rothbard, or his intellectual successor Hans-Hermann Hoppe, who think there should not be states, hence no issues of sovereignty exist once their stateless world has materialized (they remain largely silent about how to reach that situation). Yet it seems to me the thinking should not stop there. These same thinkers romanticize the idea of secession, yet seem to overlook that those seceded groups or communities also need to deal with other seceded groups and communities. They are a bit lazy when stating everybody should look after themselves, and only defend themselves in case of attack by others. If everything would be nice and neat among people this might be ok. Yet of course history shows (also in those areas where sovereignty never played a big role before Western imperialism) that people interfere all the time in each others affairs, some rulers may have malign intentions, others belief some parts of the seceded lands belong to their community, let alone issues about religion, et cetera. In short, chances on a peaceful world with the occasional conflict that can be solved by self defense are zero. Funnily enough, social liberals share the idea of the possibility of a world peace and cosmopolitan harmony. They also favor the abolition of sovereign states, not through secession but through the pooling of sovereignty at the transnational level, with the European Union as an example and a world federation as the ultimate end goal. This seems just as unrealistic, as even the EU is still mainly governed from the member states, as the current refugee crisis and the possible dissolution of the Schengen agreement illustrates. More generally, the pooling of sovereignty proves rather difficult, also in other parts of the world. ASEAN in South East Asia is an example. More realistic are classical liberals, such as Hume, Smith, and Hayek, who acknowledged an emotional tie between the individual and his country, as well as the constant need to defend individual property rights against invasion by others, through standing armies, diplomacy, some international treaties, the balance of power, et cetera. Human nature does not allow for starry eyed fantasies about international harmony, let alone international peace. Hence, it is rather normal to care about external sovereignty, as it is foremost a means of protection. Not the sole means, but an important and fundamental institution of international relations. Brandon’s and Fred’s blogs make me want to write a few further remarks on the relation between foreign policy and libertarianism. 1. One should be aware that ‘the libertarian argument’ does not equal ‘comments about US foreign policy’. Libertarianism should be a theory for all people everywhere. Much of the debate on foreign policy among libertarians is about American foreign policy. The US however is the exception, in terms of capacity, defense budget, possible reach of its military operations, the number of military alliances, et cetera. One cannot just say ‘smaller defence’ is better for all countries, as this would entail that many small countries would not be able to defend themselves, and indeed many are not. Even most (rich) West European countries are unable to defend themselves without NATO. This is not to say one should not criticize US foreign policy decisions, or argue against particular military interventions abroad. It does call for further thinking among libertarians about the position of a great power in world politics. I think, particular in a globalized world, it is too simple to say such a power should retreat as much as possible from international affairs. A power vacuum will be filled, and there is no guarantee this will be beneficial to the US or the West. Indeed, I suspect it will not be. 2. Also, there is not one ‘libertarian idea about international relations’, here it is useful and needed to distinguish a separate classical liberal position, as I have argued in my book on classical liberalism and international relations theory (see the covers to the right) and will further elaborate in Degrees of Freedom, my next book that will be published next year with Transaction Publishers. There are many differences, but a main one in this context is that libertarians argue for defense as self-defense, while classical liberals accept that countries are part of international society of states, which demands a more active role in some areas. Not least a role in maintaining a regional or global balance of power. I think that is completely in line with Hayekian ideas about sponataneous order (pdf). 3. Libertarians lack meaningful thoughts about the dynamics of a world which would (partly) be characterized by libertarian ideas. Most will accept that a peaceful paradise is unlikely to unfold, yet do not think much about the alternative situations. This gap must be filled to make the basic argument more convincing (or not of course). President Obama, unlike his predecessor, is not promoting democracy in Syria. He is instead pretending to play the game of power balancing, hoping that neither side in the war there wins, and instead allowing both to lose. Read the whole thing. There is not much new information in the piece, but then again hawks in the US have known about the situation in Middle East for decades and have still advocated stupid policies. Nevertheless, Hadar’s account contains some brilliant rhetoric that I think may be of use to readers and writers that fight for liberty.